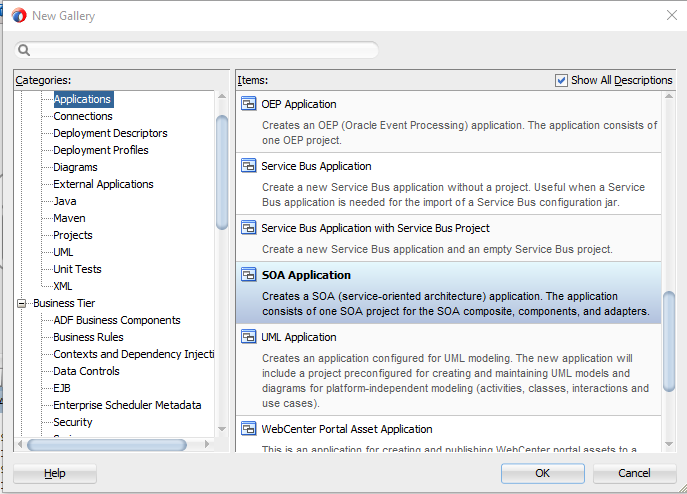 After JDeveloper 12C installation, SOA tire Application is not coming as by default project even after multiple extensions updates as like below screenshot. Deinstall JDeveloper by launching the script- Path – “C:\Oracle\Middleware\product\Oracle_Home\oui\bin\deinstall.cmd”. Create a symbolic link “C:\Program_Files” to the directory “C:\Program Files”. You can also install JDK to a different path which doesn’t contain any spaces. 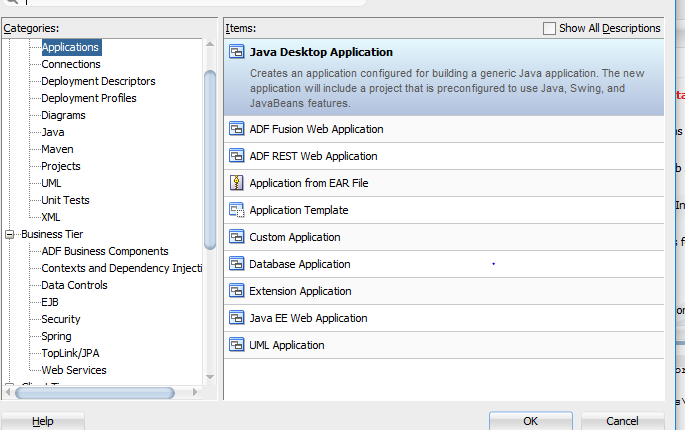 Set JAVA_HOME environment variable to “C:\Program_Files\Java\jdk1.7.0_80”. 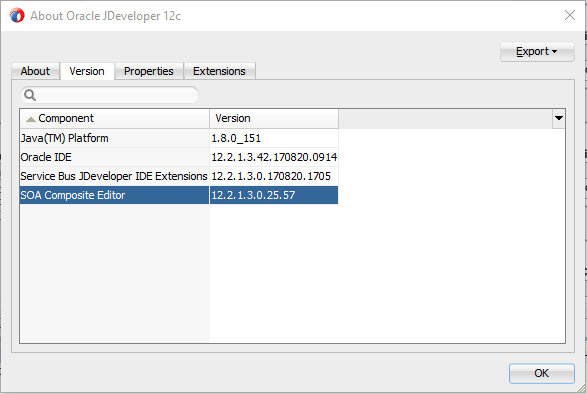 After installing the JDeveloper You can check on Help à About à version à You can find SOA composite editor or You can check on Application gallery.